What bars would you recommend for everyday use? Exfoliant-free: This bar is completely exfoliant-free, so if you were looking for a completely smooth bar, this would be an excellent choice. Scent Profile: Get on island time, whenever you like, with this tropically inspired bar that is as intoxicatingly delightful as a freshly mixed cocktail. This seriously revitalizing blend of crushed cloves, cinnamon sticks, crisp pine, and zesty orange will whisk you away to a place of total serenity and cleanliness. When you emerge from the shower – moisturized and wonderfully scented – don’t be disappointed that you’re stepping on a bath mat and not a white-sand beach. 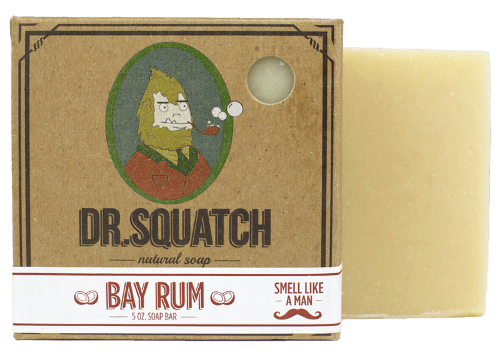 Scent Profile: The only thing cooler and fresher than showering with this beautifully designed bar would be taking a birthday suit dip in a natural spring surrounded by nothing but snow-capped mountains and sunshine (which we recommend). 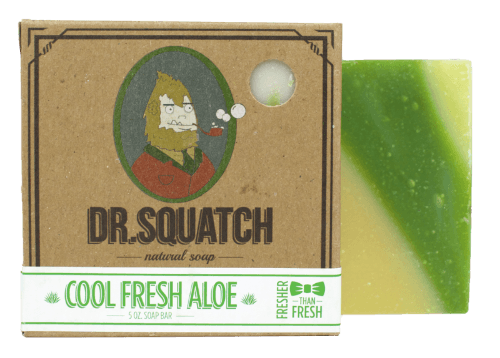 The wonderfully classic scent will certainly prompt you to say, "Aloe there," every time you step into your shower. Scent Profile: Whether we’re aging whiskey or building awesome dude furniture, we men appreciate some solid oak. 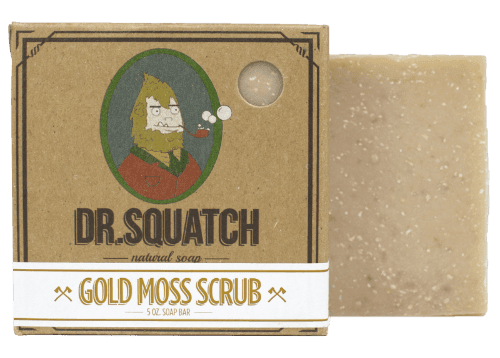 That’s why we’ve scented this woodsy gem with oakmoss , to remind you that you need some suds that are as solid and earthy as you are. To balance out the rustic musk, we’ve subtly blended in shea butter and sea salt, creating a bar as potent and smooth as your favorite bourbon. Sea Salt: This ingredient operates as an all-natural humectant, which ultimately allows your skin to both hold and retain higher levels of hydration (thus moisturizing the skin). Scent Profile: The seas are never rough when you have this invigorating and refreshing manly scent on board. Taking a cue from the ocean, this truly all-natural bar features exfoliating and nourishing sea salt to soften and soothe your skin. Also part of the on-deck crew are cypress , lavender, and clary sage oils, which form a potent blend known for its circulation-boosting powers. Needless to say, a shower with this nautical number will have you feeling like the captain of clean. Shea Butter: This ingredient displays anti-inflammatory and analgesic qualities. In addition to this, Shea butter contains Triterpenes, which in recent studies have shown to reduce the healing time of minor wounds/abrasions. Beer: This ingredient has the potential to operate as an astringent agent and cleanser when applied to the skin, thus it can theoretically help tighten and cleanse one's pores. Scent Profile: There’s nothing like a refreshing, hoppy beer with a citrusy splash after a long day. Inspired by a San Diego craft beer favorite, this perfectly brewed bar features IPA, distilled hops and a crisp grapefruit finish that will make you want to drag a lawn chair into the shower, kick back, and sip a couple cold cruisers while you get clean.